In recent years, an Alum Extracting Steel Refining Plant built 2 sets of converters and dusting systems. It has a high requirement for fan operation. So we adopt technology of high voltage frequency inverters. They are mainly used to control SA fan of 6#, 7# converter, and PA fan of 4#, 5# converter. The frequency inverters have been running stably for several months in steel plant. They save lots of energy and heighten work ability of dusting fan, improve environment, heighten efficiency and make contribution for safety and environmental protection. So the frequency inverter is indispensable in dusting system and it is worthy to promote in the field. 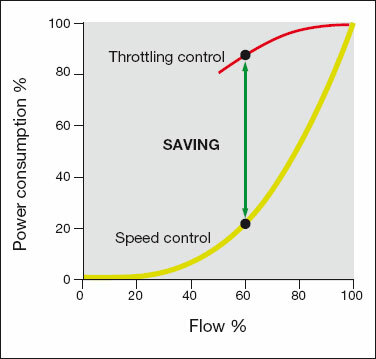 Controlling blast blower by frequency inverter maintains constant pressure of main pipe. It improves coking furnace production and site environment, meets technics requirement completely. Integration of PLC control, PROFIBUS technology and frequency inverter makes high automatization level, reliable work, easy operation and considerable energy saving. It solves that return valve can not implement constant pressure and undisturbed switch when two blowers run in parallel, which is always a puzzle for coking furnace production. The successful application of frequency inverter in blast blower has enormous economic value for improving environment, heightening return and quality of coal gas. So it is worthy to expand and promote widely. In most middle/large mining companies, power consumption of motor accounts for 50% of total power consumption. LV frequency inverter is very common. But, defectiveness of MV variable frequency technology, and voltage withstand capacity of components have been restricting MV frequency inverter development and its application. In recent years, with rapid development of MV technology and voltage withstand function, MV frequency inverter has been used widely. Its energy saving effect is considerable. Frequency inverter application in purification system optimizes the system performance, improves purification effect, reduces power consumption greatly. According to related statistic, flue gas consumption reduces 19m3/t. Total power consumption reduces 137000kW.h per month.